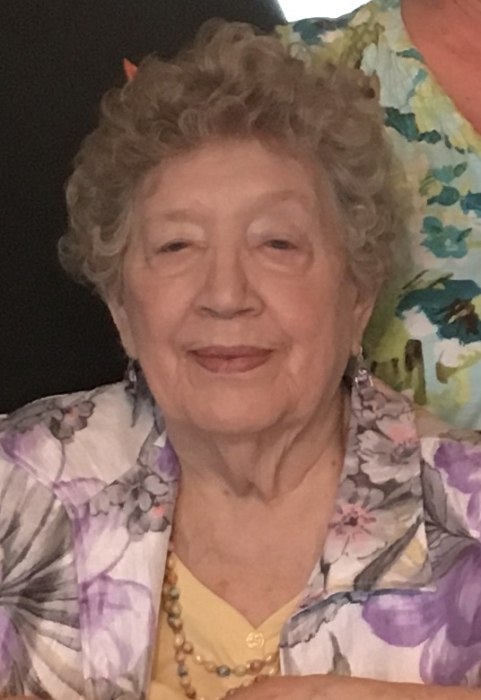 Jacqulyn C. Fleming, 87, of East Fultonham, went to be with the Lord on Wednesday, April 10, 2019 at 1:15 P.M. at Chapel Grove Assisted Living in Heath. She was born December 21, 1931, in Zanesville, a daughter of the late John Willis and Kathryn Wells Shaw. She was a Licensed Practical Nurse at Bethesda and also a Realtor for Findeiss Realty. She was a member of United Methodist Church of East Fultonham and Englewood United Methodist Church where she was a member of the Christian Women’s Club, the Ladies Intercessory Prayer Group, Helping Hand, Toys for Englewood, Mission Committee, Lemon Bay Women’s Club, and Women’s Society Methodist Church. She is survived by two sons, George C. (Laura) Fleming III and John C. Fleming; two daughters, Christine Lee and Cynthia Fleming; four grandchildren, Ryan and Erin Lee, and J.C. and Joey Fleming; fifteen great-grandchildren, Ayden, Jackson, Gabriel, Emma, Lydiah, Jaycie, Kaitlyn, Karlie, Kaci, Carson, Jacob, Grayde, Avery, Kobe, and Amelia; and sisters, Patricia Withers and Myrna Granger. In addition to her parents, she was preceded in death by her husband, George C. Fleming, whom she married January 1, 1950 and passed away on February 4, 2018; a granddaughter, Samantha Jo Fleming; a son-in-law, Charles W. Lee, Jr.; and sisters, Marjorie Strohacker and Peggy New. A Cremation will take place with a Celebration of Life Service to be held at 12:00 P.M. on Saturday, April 27, 2019 at United Methodist Church of East Fultonham, 6945 Elm Street, East Fultonham, with Pastor John Coleman officiating. In lieu of flowers memorial contributions may be made to the United Methodist Church of East Fultonham, 6945 Elm Street, East Fultonham, Ohio 43735 or to Hospice of Central Ohio, 2269 Cherry Valley Road SE, Newark, Ohio 43055. There's still time to send flowers to the Celebration of Life at the United Methodist Church of East Fultonham at 12:00 PM on April 27, 2019.